A second visit to Q Branch in one movie – whatever next? Described as a Key Ring Finder, it is actually a small electronic device which is actually attached to the Key Ring. What it was supposed to find, presumably, was itself. Anyway, he could find his keys, attached to the device by whistling. Not any old whistle of course. A bar of Rule Britannia could mean something completely different to a wolf whistle. Fortunately, or unfortunately, depending on your point of view, the above does not blow anything up! Suffice it to say, it could emit stun gas, explode, make the tea. Actually, it couldn’t make the tea, but it was blinking useful and would go on to save 007’s life on more than one occasion. The key could also open 90% of the world’s locks. 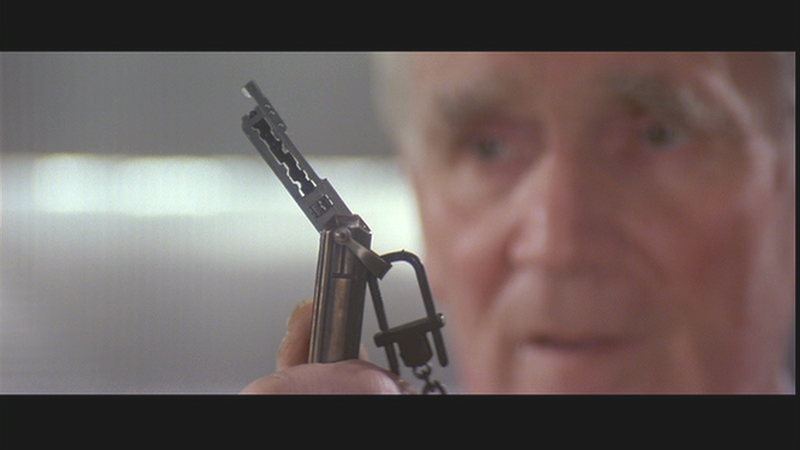 Innocuous looking maybe, but this really was one of the most useful Bond gadgets ever.